Some people put up “well water” signs so they can blast their sprinklers without drawing nasty scowls from neighbors. HINGHAM — Some water under cover of darkness, waiting until night’s protective curtain has fallen to turn on their sprinklers while the neighbors slumber. Some are wealthy enough that, even when busted, they simply pay repeated fines and continue watering their lawn. And still others resort to deception, putting up bogus “well water” signs so they can blast their sprinklers without drawing nasty scowls from neighbors and tickets from local officials. Officials in towns that have imposed partial or total sprinkler bans say most residents have complied, letting their lawns go brown in response to the worst drought in more than a decade. But there remains, officials say, a group of hardened sprinkler scofflaws who refuse to retire their sprayers and soaker hoses in order to maintain the ultimate suburban status symbol: the emerald-green lawn. Horowitz: Why not charge more for water? In greater Boston, water use was actually higher this July than it’s been in over a decade. Read: Does your town have a water ban in effect? 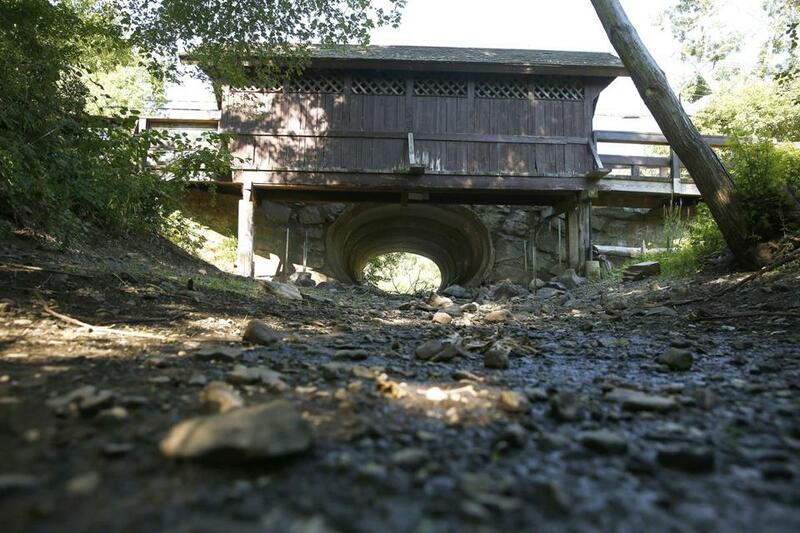 Read: Severe drought affects almost 3/4 of Mass. The refusal by some to abide by the restrictions has frustrated authorities in affluent communities where lush lawns are cherished and envied. 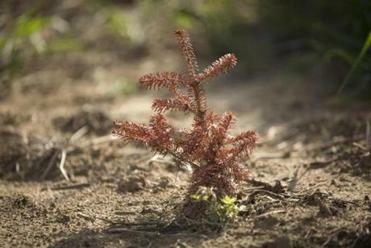 Nearly three-fourths of Massachusetts is experiencing a severe drought, ravaging corn crops, newly planted Christmas trees, and other agricultural staples, according to state officials. To conserve water, local communities have adopted a patchwork of restrictions, with some banning all sprinkler use and others limiting sprinklers to a few days of the week. The rules have led to inevitable tensions in lawn-obsessed Hingham, which has been laboring under a total sprinkler ban since Aug. 2. 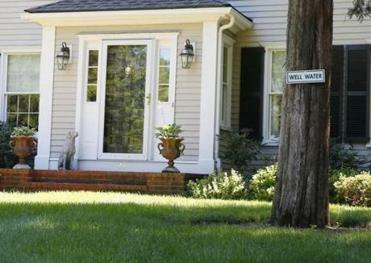 A sign reading “Well Water” hung on a tree outside a home with a green lawn in Hingham. Glenn Olsson, the police chief, lamented that residents have been calling police to report neighbors who are watering the grass, rather than handling the matter themselves. He also said the fines — which can rise to $294 in Hingham — are no obstacle for many wealthy homeowners who spend thousands on landscaping. “They’ll pay it – what do you do then?” he asked at a recent meeting of South Shore officials held at the Aquarion Water Company in Hingham. Olson, the Aquarion official, said the company has sent warning letters to its top 100 water users, reminding them that only hand-held hoses can be used to water lawns. Aquarion has also fielded two dozen tips from residents alerting them to flowing sprinklers, and followed those up with warning letters. Now, Olson said, the company may launch night patrols to catch culprits watering after dark. The Weir River has run dry at Union Street in Hingham. which has been laboring under a total sprinkler ban since Aug. 2. Norwell’s Water Department said it dispatched workers at night and caught about 200 sprinklers running in violation of its ban. About 30 to 50 homes were repeat offenders, said Eric LaFramboise, treatment facilities manager at the town Water Department. “There was a couple of cases where we did see them watering one day, and the very next day we saw them watering, as well,” LaFramboise said. First time-offenders were issued a warning. Repeat offenders were slapped with fines of up to $100. Another point of tension: In many towns, homeowners with private wells are allowed to water their lawns as much as they want, while those who use the municipal water system must abide by local limits. “It just seems very irresponsible,” said Bettina Siegel, a Wayland resident. She said she bikes past condominiums with “well water” signs where the sprinklers run so freely, water rushes into the street. 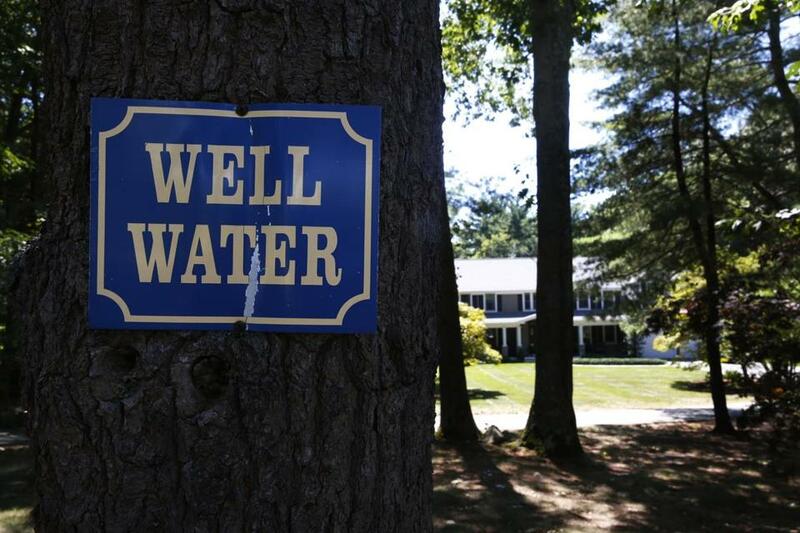 Many homeowners hope that by posting “well water” signs, they will avoid such complaints, as well as fines from the town. Some towns even require the signs. But Rolf Gjesteby, chairman of Cohasset’s Water Commission, said residents have also been caught posting “well water” signs even though they use the municipal water system. Richard N. Palmer, a professor of civil and environmental engineering at the University of Massachusetts Amherst, said that although their sources vary by location, many wells draw from the same groundwater that feeds municipal water systems. Therefore, “it might well be appropriate to ask those with private water sources to follow the same sort of good-neighbor rules that everyone is being asked to follow,” he said. Ultimately, local officials are hoping repeated warnings will soak in, and persuade even the most obstinate homeowners to turn off their sprinklers and let the grass dry and wither.